“The Amazing Spider-Man 2” achieves exactly what Sony Pictures seemed to have in mind; make a film that will fill seats, make a profit, and insure an “Amazing Spider-Man 3.” It’s not a bad film, just pedestrian. And it adds as little as possible to the Spider-Man cinematic canon. The film manages to be a long, painfully long, toy commercial that does not fall into the trap of “Batman and Robin,” a film people still talk about. To Joel Schumacher’s credit, he created a Batman movie that won’t, no cannot, be forgotten. 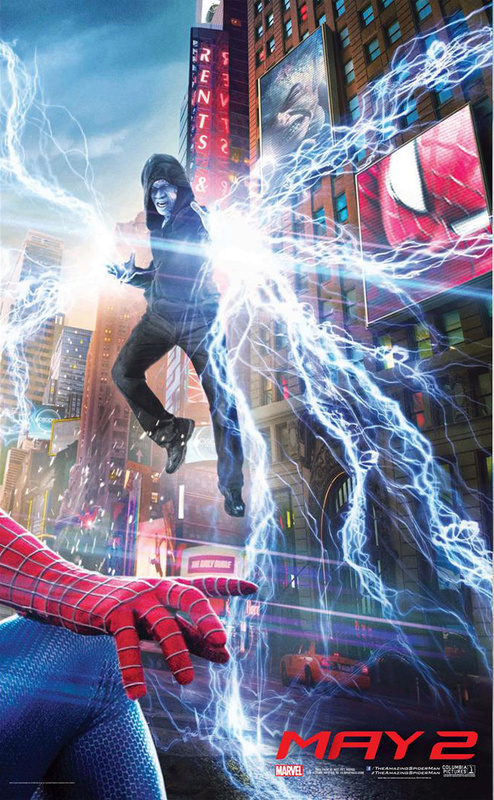 “The Amazing Spider-Man 2,” however, is a forgettable film. I saw it 24 hours ago, and I’m having trouble recalling much of the film. It is ephemera, not cinema. Am I being to harsh on a comic book movie? Not at all. People still talk about “The Avengers” and Christopher Nolan’s Dark Knight films. Last month’s “Captain America: The Winter Soldier” featured superheroes and a strong plot. The action scenes in this installment, or more accurately, Sony’s legally-necessary release, are typical of summer fare, full of impossible CGI shots and ultra-slow motion imagery. But the action scenes do almost nothing for the story. They just happen. Yes, “The Amazing Spider-Man 2” has a story, which is almost the exact story of Sam Raimi’s Spider-Man films. I’ve seen these chunks of plot too many times. Peter Parker’s love life is again, challenged by his career as a web slinger, aunt May is worried about Peter and sad, Gwen Stacy wants to do something with her life (it was Mary Jane in Raimi’s) and needs to figure needs Peter to figure out her enigmatic clues or she’s gone, some guy gets in an accident and decides he wants to be a supervillain, and so forth. Yet the film is competent and, occasionally, enjoyable. The feeling is of a film written by committee, but an occasional emotion comes through. The cast is great, doing the best with what they have been given. Andrew Garfield turns in a strong performance as Peter Parker. Dane DeHaan enters the film as Harry Osborne. DeHaan has some great scenes early in the film, but, like everyone else, must turn into an insane villain before the film’s end. My favorite scene has Peter and Harry by the waterline talking. For a moment, the film radiated sincerity. Maybe director Marc Webb — I kid you not. That’s his name — should make a Spider-Man film just about Peter’s relationships. The personal moments, along with a few Spider-Man moments, save the film from ruin. As for the villains in this film, I don’t care. I’ve seen the same origin story many times. They exist to give Spider-Man something to do. Jamie Foxx does fine with a role that gives him little to do. Paul Giamatti, playing the Rhino, has nothing to do in the movie. He is the film for five minutes. If only to confuse the entire theater, Sony tacked on a teaser for Twentieth Century Fox’s summer Marvel film “X-Men: Days of Future Past.” This happens about a minute into the end credits. Unlike the Disney Marvel films, this teaser had nothing to do with this Spider-Man film or any future one. “The Amazing Spider-Man 2,” as its title suggest, is a product. In a few years, Sony will release “The Amazing Spider-Man 3.” Why bother with proper titles when a number will do. Kids seemed to enjoy the movie, but if you are over 12, I suggest you see “Captain America : The Winter Soldier” instead. Didn’t mind this one as much as it seems like everybody else is. For some reason, I guess I was just in such a good mood, that the smallest thing with energy would have made me happy and smile. Good review.